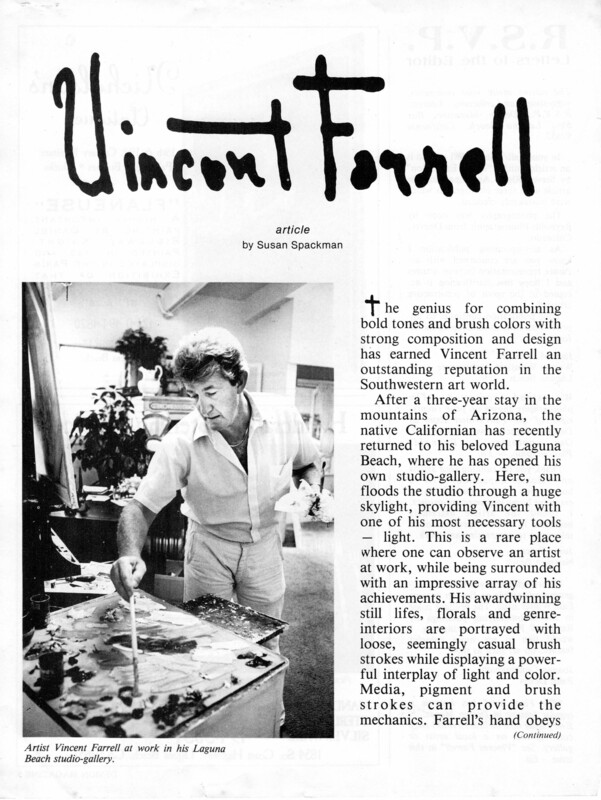 Orange Coast Magazine Article about Vincent Farrell originally published in the early 1980’s. This entry was posted in Art, Art as a Lifestyle, Art for the Home, Art Market, California, California Artist Vincent Farrell, Vincent Farrell Artist and tagged California Artist Vincent Farrell, Fine Art, Laguna Beach California, Orange Coast Magazine, Orange County by vincentfarrellartist. Bookmark the permalink.